Maine Sports Media: Baseball: Colby sweeps Plymouth St. Baseball: Colby sweeps Plymouth St. 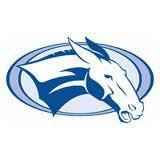 The Colby College baseball team moved to 10-10 on the season with a fourth straight victory this week as the Mules took 3-2 and 7-6 wins over Plymouth State University on Sunday. Nate Sugarbaker worked into the sixth inning to earn his first victory of the season in the opener. Lucas Geoghegan went the rest of the way for his first save. The two combined to allow just three Panther hits. The two teams combined for all the runs in the first inning. Robb Arndt had the biggest hit of the game with a two-run single for the Mules. Taro Gold added an RBI single, Nikolas Atsalis finished with two hits and one run, and Brendan Gallagher added a hit and a run scored. In the second game, Colby used five pitchers as Abhi Chandel moved to 2-1 this season with the victory in relief. Mark Nelson got the last out of the game for the save. Atsalis had a hit, two runs, two walks, and stole four bases in the victory. Brandon Nieuw and Gallagher both had two run doubles, while Devin McConnell had one hit, one run, and one RBI. Arndt, Richard Newton, and Mike Mastrocola each had one hit and one run. Nate Sugarbaker (W, 1-1), Lucas Geoghegan (S, 1) and John Schroeder; Hudson (L) and Rob Madonna. 2B: Ryan McIntosh (P). Brady Hesslein (W), Mark Collins (4), Abhi Chandel (5, W, 2-1), Lucas Geoghegan (6), Mark Nelson (7, S) and Brendan Gallagher; Luke Merrill, Spencer Webb (6) and Rob Madonna. 2B: Brendan Gallagher (Col), Robb Arndt (Col), Brandon Nieuw (Col), Ryan McIntosh (P), Mike Cappiello (P).